Leslie Alexander Kirkpatrick was apprenticed to his stonemason uncle who emigrated from Scotland at the turn of the 20th century. Leslie eventually migrated to Welland, where he met and married widow, Beatrice (Misener) O’Brine. In 1929 he started L.A. Kirkpatrick and son in a tiny shop in Fonthill with his then 14-year-old stepson Earle. Many a tale was told about taking potatoes and other goods in exchange for monuments in the lean years of the Great Depression. Throughout the years, numerous changes took place. A new shop was built in the 50’s next to Fonthill cemetery and “Double Process Carving” and “Steel Shot Sandblasting” were introduced – first time in this area. This process, still used today, produces clearer, sharper lettering and designs, using no paint. In 1964, responding to growing demand further to the west, the Dunnville office was opened. Some years later, Earle’s son and son-in-law joined the firm and an equipment modernization program began. The late 70’s and early 80’s saw the acquisition of two businesses from long-time friends and competitors in Welland and St. Catharines and a new office opened in Niagara Falls. In 1987, Monu-cad, an industry specific computer assisted design system was introduced, the first of its kind in Canada and only second in the world. This system, still used today, allows us to show families a scaled drawing of exactly what they are getting before any work was done. The new millennium saw some changes. In 2001, employee, Mike Law purchased the firm from the retiring owners. Having been with the company since 1994, Mike quite easily segued from labourer to facilitator to owner. At this time, the company’s name was simplified to Kirkpatrick Monuments. 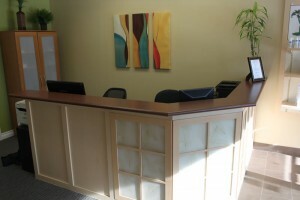 In 2009, an office was opened in Fort Erie, and a natural stone and quartz counter top operation began in the Fonthill facility. In 2010 Bradfield Monuments in Simcoe, Ontario was purchased, bringing the total locations to seven. In 2014 we further diversified by supplying Wilbert Burial Vaults to selected funeral homes in our area. In 2016, we purchased Rigg Mooney Monuments in Niagara Falls. The former Rigg Mooney building on Queen St. has been completely renovated and updated, and our existing Niagara Falls office relocated to this freshly transformed space in March 2017. In April 2017, we further expanded by purchasing Barber Monuments in St. Catharines. Serving our communities since 1929 has been an honour and a privilege. We thank all of the families who have put their trust and confidence in us and welcome the opportunity to serve those who need us. Did you know Kirkpatrick Stoneworks also specializes in Granite Countertops? Customer Service is extremely important to us at The Decorating Centres, which is why we strive to meet the unique needs of each client. Our knowledgable and creative staff are always here to help! We offer premium Benjamin Moore® Paint, wallpaper, Hunter Douglas, colour consults for all of your projects, simplifying your shopping to one convenient stop. As an independently owned store, you’ll experience a level of service you thought no longer existed while supporting your local community. We’re proud to deliver the kind of specialized attention and help that you simply won’t find in larger chain stores. Our store professionals are comprised of trained specialists, whose knowledgeable experience and helpful advice will ensure the success of every project you have. In November 2014, Beth Elliott and Caylea Davidson created Niagara Therapeutics Inc. 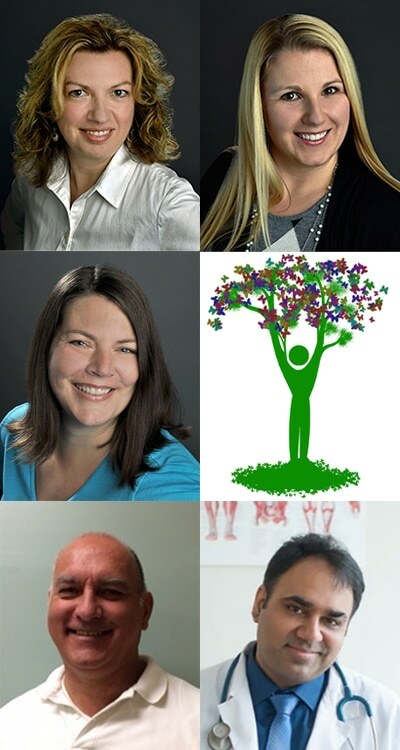 These talented therapists had worked together previously at B. Elliott & Associates, Medical Massage Therapy Clinic. Our Niagara wellness clinic is unique in offering diversified skills with each one of our therapists. We strive to offer a team approach to your wellness. We are proud to be able to offer a variety of therapies, each tailored to address your specific concerns. If you have questions, please call us at 905-788-3214. David Chevrolet Corvette Buick GMC Ltd. offers a great selection of new and used vehicles for Chevrolet, Buick and GMC drivers. In addition to their vehicle inventory, they have an on-site car servicingand repair departments. If you are looking for financing and parts for your vehicle, David Chevrolet Corvette Buick GMC Ltd is the place to go. We encourage you to visit them at 915 Niagara Street in Welland. Take a test drive today! With their huge selection of new and used cars, trucks and SUVs, you can find everything you need at David Chevrolet Corvette Buick GMC Ltd. Explore Chevrolet’s exciting lineup of cars including the Cruze, the Impala, the Trax, the Silverado 1500 and 2500HD. Their Buick lineup is perfect for those looking for a stylish vehicle, like the luxury Verano, the Enclave or the Encore. Are you looking for an SUV or a truck? Their collection of GMC vehicles, including the Terrain, the Acadia and the Sierra 1500 pickup truck can deliver the long-lasting quality and style you expect. Got something to tow? Stop by and try the Silverado 3500HD, the most dependable, longest-lasting full-size pickup trucks on the road. Please contact us to learn more about any one of the vehicles at David Chevrolet Corvette Buick GMC Ltd.
David Chevrolet Corvette Buick GMC Ltd provides service and parts in Welland. If your vehicle needs repair or maintenance, their trained GM-certified technicians will get your vehicle serviced as quickly as possible. They can handle any car repair and have the certifications to ensure your vehicle is in a great condition. David Chevrolet Corvette Buick GMC Ltd is dedicated to providing the very best customer experience. Your vehicle purchase is probably the second largest financial you’ll make. They’ll help you find the best options for your budget. David Chevrolet Corvette Buick GMC Ltd provides customized financing solutions program at the most competitive rates. Have a question? Give them a call or come on in today! David Chevrolet Corvette Buick GMC Ltd is located at 915 Niagara Street in Welland. At David Chevrolet Corvette Buick GMC Ltd, they will do our best to make your car-buying experience the best you have ever had. Check out their hours and directions page to find directions, contact info and hours of operation. TSC Stores caters to those who enjoy the country lifestyle. This uniquely Canadian department store located at 777 Niagara Street specializes in products for farm and country home improvement, working the land, and outdoor hobbies. From automotive to fencing to pet supplies to workwear, TSC offers an incredibly unique selection of products all under one roof for those who live the country lifestyle. TSC Stores is a Canadian owned and operated retailer, which has developed strong roots in Ontario over the past 50 years. TSC reached this 50 year milestone in September 2016 and is excited to continue to serve their customers through their 49 corporate TSC Store locations and head office in London, Ontario. Niagara Pet Corner’s goal is to supply our customers with the best possible service, making their pet experience a fun and rewarding one. Barry purchased Niagara Pet Corner in 2006 and has consistently grown the business to continue to meet, and anticipate, his customer’s needs. Barry and his staff are all animal lovers and pet owners, and are as passionate about animals as you are. With pets coming in all shapes and sizes, Niagara Pet Corner has supplies, food and accessories for most domesticated pets- whether it swims, slithers, meows or barks! Barry Lutzer has owned Niagara Pet Corner since 2006, and has upgraded the store steadily in recent years, adding to the inventory and selection. Extensive renovations have focused most recently on expanding the aquarium and fish section, so there are now over 100 tanks with a huge selection of tropical and marine fish! Come in to visit our huge selection of beautiful fish from all over the world, and start your own home aquarium today! Fish are a beautiful, low-maintenance pet that add beauty and an element of tranquility to any room in the house. We carry everything the novice fish hobbyist needs to get started, and our knowledgeable team is more than happy to help set you up and answer any questions you might have. For the more experienced fish enthusiast looking to expand or upgrade, we have a huge selection of aquariums and supplies including furniture, decorations, live plants, filtration, pumps, fluorescent lights, reverse osmosis units and power compacts, lighting filters, fiber optics, and tanks ranging from 21/2 gallons to 265. If we don’t have what you’re looking for in-store, we may be able to special order for you from one of our many, reputable suppliers. At Niagara Pet Corner, we not only have an awesome fish & aquarium section, but we also stock a wide range of reptiles, various birds, kittens and puppies for sale, and all the supplies and pet accessories you’ll need to take care of your little family. 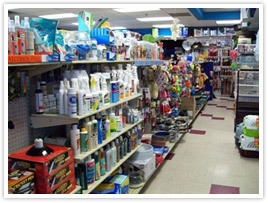 Our goal is to supply our customers with the best products, the best service, and the best experience to make their pet store visit a fun and rewarding one. Come in today to Niagara Pet Corner! You can always count on us to go that extra distance, and we stand behind all of our products. Today Welland Floatfest announces a GUINNESS WORLD RECORDS™ official attempt for the title of Longest line of water inflatables to take place on July 30th, 2017 at the Welland Scuba Park. The second annual Welland Floatfest event is set to put Welland on the map internationally again with the addition of the GUINNESS WORLD RECORDS title attempt. The Longest line of water inflatables must measure in excess of 100 metres. A GUINNESS WORLD RECORDS adjudicator will be on hand at the event to verify and declare the attempt as an official GUINNESS WORLD RECORDS title should it be successful. This addition to Welland Floatfest has been made possible by Canadian Tire Corporation and the interest of the Canadian Tire store in Welland to provide a fun community event. “Canadian Tire has been dedicated to the promotion of healthy, active living and building safer communities since 1922 through investment in social cause and community sponsorships across Canada. By contributing as a sponsor to Welland Floatfest, this year in a much larger way by including the GUINNESS WORLD RECORDS title attempt and the addition of fireworks, we are furthering our commitment to being good neighbors in Welland. We are looking forward to the 2017 event,” offered Owen Billes, Canadian Tire, Welland. Welland Floatfest began with one young man’s dream of a community event on the water in Welland after seeing images from the Kaljakellunta event in Helsinki, Finland. This young man was Phil Gladman, a 25-year-old, Wellander who thought a day on the waters of Welland, at a family-friendly event would be great for the citizens of Welland. With the help of Leanna Villella and a team of her friends, community business leaders, the City of Welland, Canadian Tire and other corporate sponsors, the event was put together in just six weeks. In 2016, over 1300 participants were registered and just shy of 800 enjoyed the day on the water on their floaties. Welland Floatfest is Niagara’s only lazy canal. A place for families to come together and float on Welland’s Recreational Canal on inflatable rafts, dinghies, floaties. No kayaks, canoes or other watercraft will be permitted, with the exception of safety watercraft. Participants are encouraged to pre-register and complete waivers to speed the registration process. No alcohol, pets or drones will be permitted at the event. Floating on the Canal while enjoying music and camaraderie with friends and family. NEW: Corporate Team Challenge – a contest dedicated to the business community for best themed floaties and participants. Live Music: Featuring 9 local bands throughout the day including Ashlynne Vince, Jessica Wilson, This Time Around, The Rob Graham Band, Revive the Rose, Eklectic, Filet of Soul, Four Point View, and Sunset Strip, with the master of ceremonies being Steve Szabo. Food Vendors: all family favourites from caramel corn to gourmet. Retail Vendors and Artisans: local retailers and artisans promoting their products and services to the attendees of the event. NEW: Fireworks: The day will be brought to a close with a fireworks display. The 2017 Welland Floatfest committee encourages all interested in attending the event to register on-line. Prizes are being awarded for every 100th person registered. This will speed up the registration process for a fun, safe and enjoyable day for all. As one could imagine, an event such as this takes many hands. The committee is also seeking volunteers for a variety of positions including lifeguards, security, traffic control, and registration. If interested in helping, individuals can register on-line to become a volunteer. While food vendors are sold-out, however there are remaining spots available for retail vendors at a very reasonable fee. We’re your neighborhood insurance company – new location and same friendly service! Our agents live and work throughout the Niagara Region and will visit your home or business to assess your insurance needs and provide a quality insurance program for your personal and business needs. Or just drop in and one of our in-house agents will assist you. As a Mutual Insurance Company we serve our policyholders. We’re not a BIG insurance company that reports to their shareholders. We listen to our customers and provide a high level of local friendly service and support to our community, offering the same insurance products that are available elsewhere. As a mutual insurer, we provide profit sharing to policyholders if we have excess profits above our needs. Bertie and Clinton has provided policyholders with refund cheques for many of the years that we have been around – and we have been around since 1880. We are having an open house to showcase our new office on JUNE 24, 2017 at 11am to 3pm. Stop by and enjoy the festivities – music, food and family. Does your business need a certain something to help take it to the next level? Perhaps you need help with business planning or access to other things like finance, legal, advertising or web services? Or maybe you just need cash. Well now’s the time, Niagara! With $115,000 worth of prizes including cash and top-level services, FirstOntario’s 1Awards are here to help businesses in our community reach higher and grow faster. © 2019 North Welland BIA. Designed by Ex Nihilo Designs.